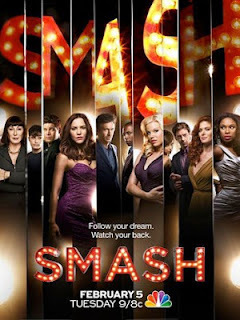 Have you been anxiously waiting to see what's next "Smash", our favorite Broadway themed drama series? What's happened to our friends Karen and Ivy and Tom and Julia and McSleazy and Ellis...wait, he's been written off...and Dez...he's gone too...the rest of the Bombshell gang? Well, wait no longer! The first hour of the two hour season premiere is live on nbc.com, among other outlets, for your viewing pleasure! The link is right here: http://www.nbc.com/smash/video/on-broadway/n31452/ If you don't want to watch now and wait for the full thing, February 5th is right around the corner! No spoilers here! And make sure you check back after the first episode for my Smash Recap!